Click the following category link to view similar titles: Cognitive Analytic Therapy. Anthony Ryle, later a doctor and pioneering psychotherapist, was twelve in 1940 when he started his diary. His daily record of life at boarding school and with his family of doctors and scientists, mostly inSussex and Cornwall, is set against the background of war seen through his direct experience, that of family and friends, and news stories of which he was an avid collector. The diary which he kept through most of the Second World War is a rare insight into the life of a schoolboy approaching maturity in the early 1940s. It records the current of school tasks and escapades, cadet force exercises and holiday adventures, and his fascinated exploration of the natural world which surrounded him. Amongst these everyday things, his chronicle conveys the growth of a reflective personality and the emergence of a radical political outlook, prompted by the global upheaval and by a family tradition of social concern, anti-fascism and commitment to state sponsored health provision for all. We follow his questioning of school and the society beyond, his changing attitude to the war, and his share in the fears, hopes and struggles from which emerged such pillars of the modern world as the United Nations and the National Health Service – along with the conflicts of belief which have been inseparable from them ever since. 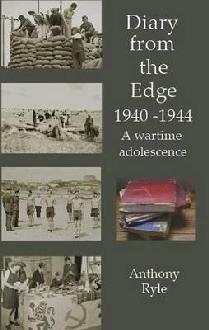 Although he was intensely involved in all these issues, his diary conveys too his frustration at being, as he felt, on the edge of life and the war – both because of his youth, and the unreality of a boarding school existence. The author has added a number of recent comments and reflections to clarify the original narrative, and sketch retrospectively the long-term significance of what he and all with him went through in those years.